Michael Schumacher’s son, Mick, will be making his debut in F1 car as he is set to take part in the Formula 1 Young Driver Test that will be held at the Bahrain Grand Prix next month. The 20-year-old will participate in a two-day test event. According to Auto Bild via Autoweek, Mick is taking the test with Ferrari-powered Alfa Romeo on from April 2 to 3. Michael Schumacher’s son is currently a member of the Ferrari driver academy and he will also debut in Formula 2 this season following his smooth victory in the Formula 3 last year. This winning experience gave him the license points needed to drive an F1 car. 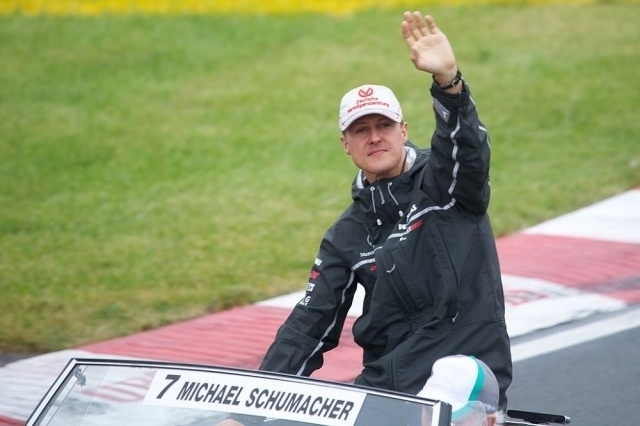 In any case, Michael Schumacher’s health condition is still being kept a secret. The question if he is already able to walk or still confined to his bed has yet to be answered even after all these years. Mick Schumacher’s did not make any public appearance since his 2013 freak ski accident but not long ago, there were rumors that Schumi has been spotted in Majorca and it was alleged that the neighbors saw him. Based on the report by Express, this is the first sighting of Michael Schumacher in public. It was stated that he was seen being transported via helicopter to his vacation home in Mallorca Island. The witnesses supposedly saw him while his medical aids help him get down from the chopper and he was placed on a wheelchair. On the other hand, The Daily Mail noted that while the neighbors claimed to see Michael Schumacher on a wheelchair, they said that they could not clearly see his face so they have no idea about the real status of his health. Michael Schumacher was said to have been moved to the €26 million mansion to help Schumi improve. The relaxing atmosphere of their Mallorca home was said to help the former F1 driver to recover so the whole family is allegedly staying there for now.